Cyrus audio SoundKey Mobile DAC and Headphone Amplifier in Graphite Black. Free Delivery. 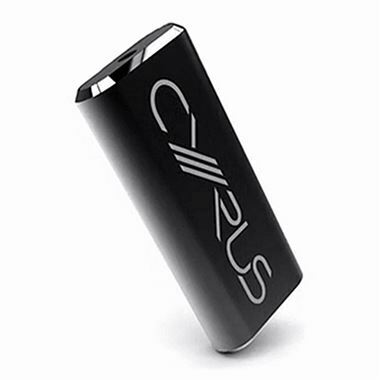 The Cyrus Audio Soundkey is a Micro sized DAC and Headphone Amplifier for mobile phones, laptops and tablets, supporting high-res audio up to 24bit/96kHz with extremely low power consumption to conserve phone battery life. Sound Key unlocks your audio, by accessing the raw digital files on your device and processes them using our special hi-fi DAC and amplifier. The analogue music output from soundKey delivers much more detail, more impact, greater precision and a good dollup of WOW.